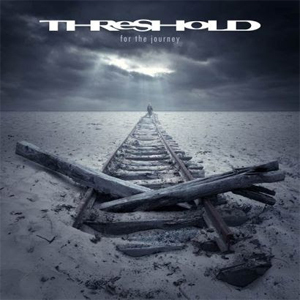 British progressive metallers THRESHOLD recently released their new album, For The Journey in Europe. The album will be released in North America on November 18th via Metalville Records, as part of a new joint licensing venture with Nuclear Blast Records. The band have released an official music video for the track "Unforgiven". Check it out right HERE. 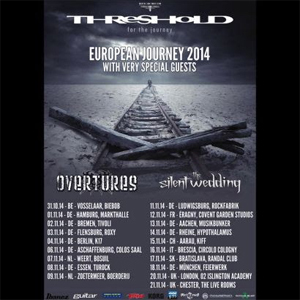 Threshold will embark on a European tour to present For The Journey to their fans, kicking off this Friday. Commented Karl Groom: "We are humbled by the support of our loyal fans in achieving chart positions in most countries throughout Europe. The whole band are very much looking forward to the upcoming tour in November. See you then..."
The successor to their 2012 output, March Of Progress, was produced by Karl Groom and THRESHOLD keyboardist Richard West at Thin Ice Studios in England, and mastered by Mika Jussila at Finnvox in Finland. The cover artwork was created by Polish artist Leszek Bujnowski, who THRESHOLD found on the internet. “He's designed some beautiful pieces and we thought this was a perfect THRESHOLD cover,” stated West.